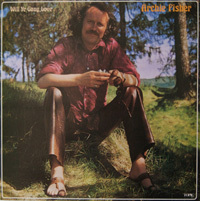 Archie Fisher’s is a multifaceted talent. He is simultaneously a singer with great interpretive flair, a songwriter whose compositions have been taken up by many leading singers, a musician of outstanding ability and a skilled raconteur. Above all else he is a man of influence, whose taste and style have shown the way for many artists. ‘Will Ye Gang, Love’ was recorded in 1976 and captures a musician at the height of his powers.